. Published on November 12, 2015 . One of my favorite events that we get to experience in the church age is Baptism. To watch someone courageously declare the Lordship of Jesus in their life is an awesome blessing to witness. It is a declaration of freedom. It is the symbol of being dead to sin and alive to Christ. (Rom 6:11) It is the announcement that it is no longer I who live but Christ who lives in me (Gal 2:20). That’s why we believe in believer’s baptism. That is someone who knows the difference between good and evil and can declare their commitment to Christ. The testimony of Scripture is that baptism is something that which follows salvation (Acts 2:41, Acts 8:12, Acts 8:35-36, Acts 9:18, Acts 10:44-48). It is interesting that the believers who had received John’s baptism are asked to be baptized again, this time into Christ (Acts 19:3-5). It is imperative that we be baptized once we have expressed faith in Jesus Christ. People can be saved as young children, it absolutely happens, but because of the easy-believism problem especially in the United States many have said “the prayer” as a kid but were not truly converted. Many of these people then proceeded to be baptized, only to realize years later that they were not truly born again and needed to still repent and put their trust in Christ. If this is you I would encourage you to obey Christ and be re-baptized. 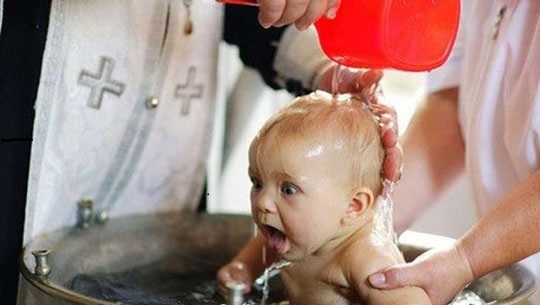 For my brothers and sisters who were baptized as infants, I would also encourage you to obey the Lord and be baptized after you believe, since no one is born born-again. Scripture is also clear about the method and mode of believers baptism. Jesus says in Matthew 28 that we should baptize in the name of the Father, Son and Holy Spirit. Say you were baptized in a One-ness Pentecostal Church, or in a Church of Christ that teaches salvation through baptism. Both churches, despite being cults, teach enough Bible to lead people to Christ. And both churches get baptism wrong. The first does not administer a Trinitarian baptism (because they err on the Trinity) the second teaches baptismal regeneration. Because of the clarity with which Scripture describes the practice of baptism, and because the practices of these churches run so counter to that description, I am convinced that these baptisms would be invalid since they were not administered in a biblical way. If you are a believer who has come from these traditions or if your conscience is bothering you, the safe move would be to be re-baptized or more accurately, be baptized for the first time. A secondary benefit of being re-baptized for a case like this, is that people in your Church will be encouraged and edified by your obedience and will gain a deeper understanding of the importance of baptism. Being baptized through sprinkling would also be an invalid baptism as the word baptize (Baptizo) in the Greek literally means immersion. So on top of the fact that you weren’t saved at the time of your sprinkling you also were not immersed. Say you were baptized as an infant in the Presbyterian church, and despite my best efforts above, you are still convinced that paedobaptism is the more appropriate practice. But because there are no biblically sound Presbyterian churches around you, you attend the local Bible or Baptist church. 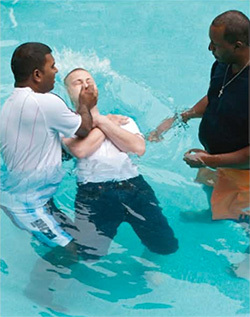 Most of these churches require believers baptism (full immersion) for membership. Which is more important? To submit to the elders and become a member or to hold on to your paedobaptist beliefs? Most Baptist churches would withhold the Lord’s supper from someone who has not been baptized, and you definitely don’t want to have to pass the plate as it comes by. Thankfully baptism is not what saves us. Salvation is an act of God where he takes our heart of stone and gives us a new heart of flesh. (Ezekiel 36:26) So ultimately it’s a matter of conscience and obedience. There are many bad reasons to be re-baptized if you are considering being re-baptized I would sit down with your elders and talk through it with them and trust their leadership. We have to guard against the feeling that since baptism doesn’t save it loses importance and priority.